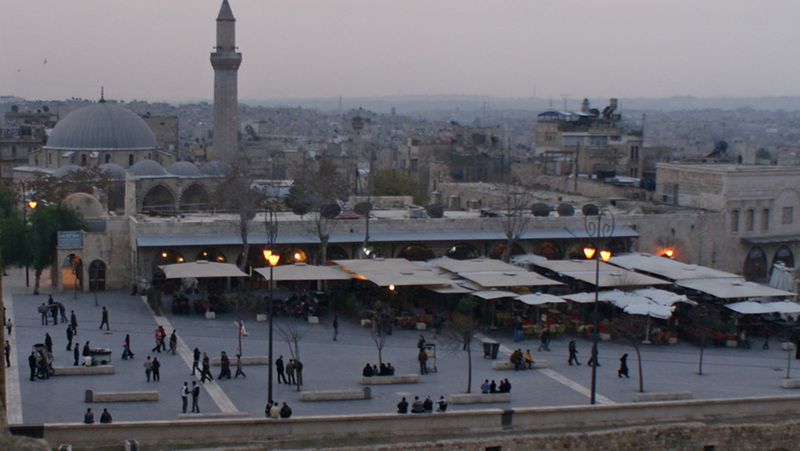 Aleppo, Syria's second city, was once the country's commercial and industrial hub, as well as a major regional tourist destination. 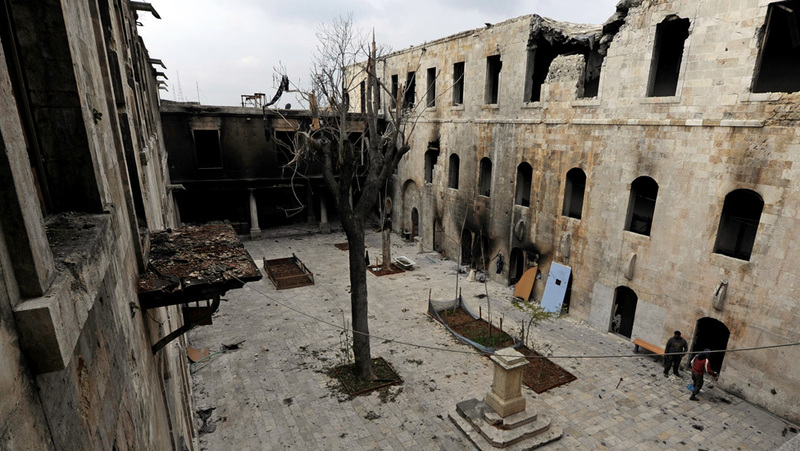 But four years of war have left large parts of the Old City - designated by Unesco as a World Heritage site - in ruins. 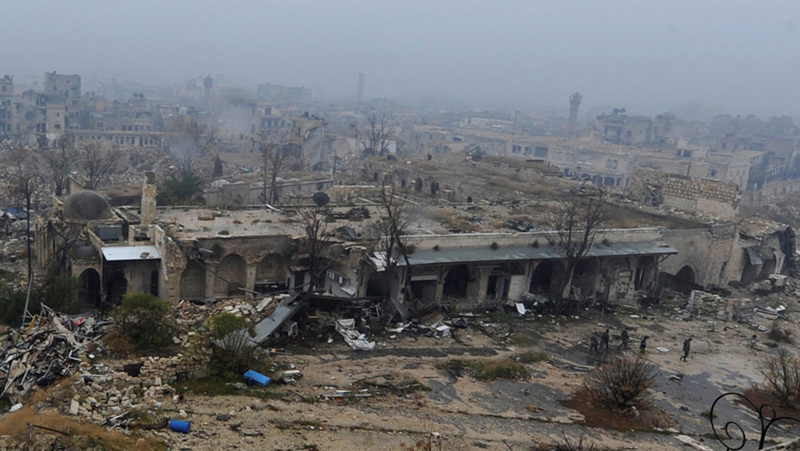 As the evacuation of the rebel-held eastern areas nears completion and government forces take full control of the city, pictures have begun to emerge of the devastation. 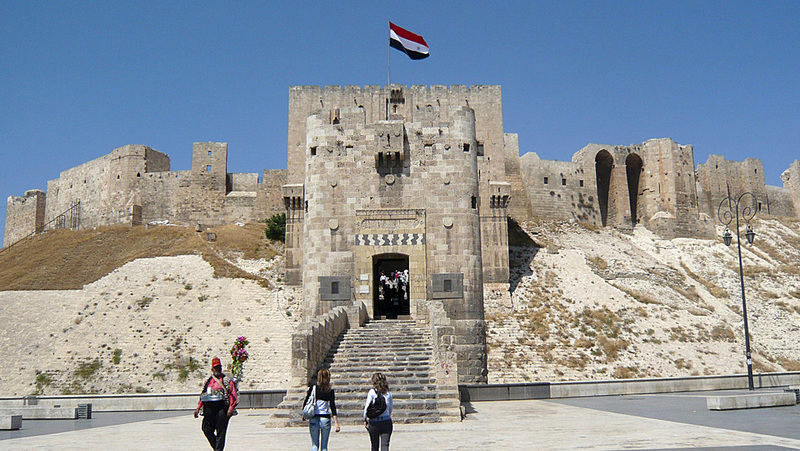 The 13th century Citadel of Aleppo is one of the city's most iconic landmarks, but the war has left it badly damaged inside and out. 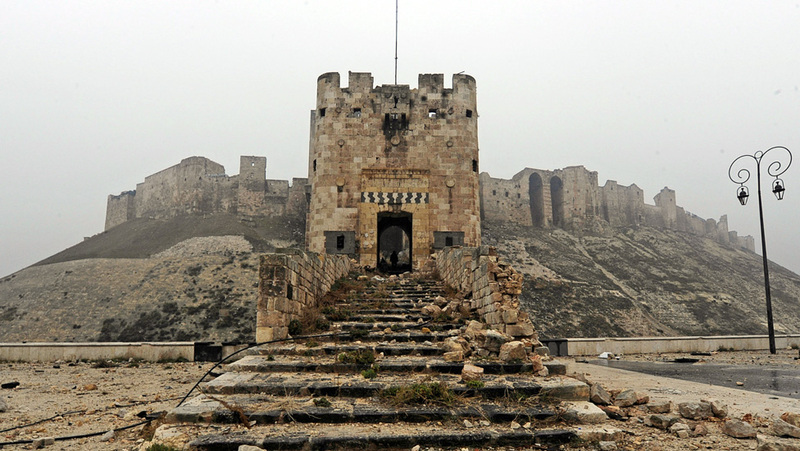 Syrian government soldiers used the citadel as a defensive stronghold and, as a result, it frequently came under fire from rebel fighters. Just to the west of the citadel, the Great or Umayyad Mosque - built between the 8th and 13th centuries - has been left almost in ruins. 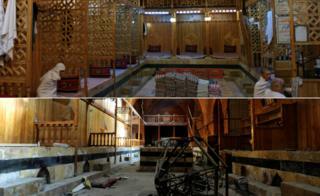 Its 45m (150ft) 11th century minaret was toppled three years ago. 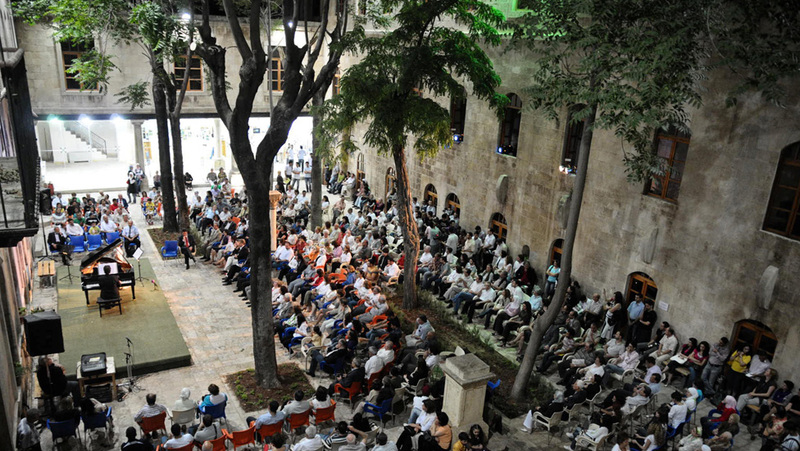 The 12th Century al-Shibani School, just to the south of the mosque, had become a venue for hosting cultural events and exhibitions after a major renovation. Now the centre is deserted, in need of major building work. Hammam al-Nahasin, also just south of the mosque, is situated in the heart of Aleppo's ancient souk and dates back to the 13th Century. The male-only bathhouse was another popular tourist destination before the civil war. It isn't just the old city that has been damaged. 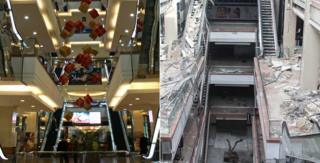 The fighting has also closed the Shabha Mall - one of the largest shopping centres in Aleppo. 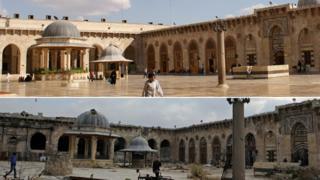 The mall was for a while reportedly used by so-called Islamic State as a prison before being taken over by the rival jihadist group, al-Nusra Front. All images courtesy of Reuters.